Just when you thought he couldn't get any more #perfect. Chris Tiu—aka our forever crush—is known as an outstanding basketball star, but apparently, he's also a crazy-talented piano player. 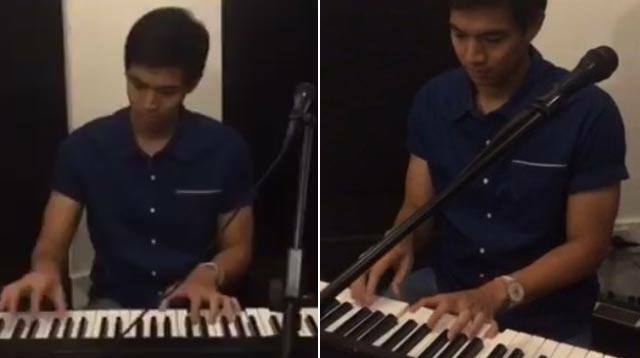 Chris has been regularly posting videos of his piano ~*performances*~ and tbh, they leave us kilig! Chris' most recent videos is of him playing the Disney classic "Beauty and the Beast." Is that you John Legend?? He even channeled his inner Ryan Gosling when he performed the Oscar-winning piece "City of Stars" from La La Land. Chris also admitted he and his wife Claire got hooked on the K-Drama Descendants of the Sun and played its romantic theme song "Always."